Music Mosaic's Dreaming Didgeridoo really caught my ear on the first listen. 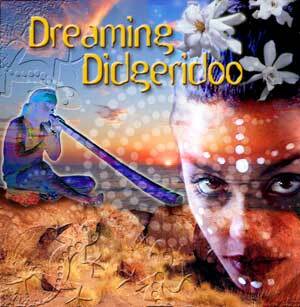 Just as the didgeridoo is music made from nature, the songs featured on the Dreaming Didgeridoo compilation clearly echo its historical and spiritual complexity. The 12-track disc contains the didgeridoo in combination with mandolins, drums, keyboards, bells and wooden flutes; it blends with chants that make you feel like you're in Australia. Quite possibly one of the oldest instruments ever made, the didgeridoo makes a monotone humming sound, yet somehow it's layered with various harmonies and tribal fusion rhythms. Aside from songs that recall the aboriginal songs from long ago, there are a few tracks that emphasize the didgeridoo in modern music. In the song "Memories" by Charlie McMahon, violins and the quin (a Chinese zither, sounds like a harpsichord) beats along to the didgeridoo to create an almost otherworldly modern kick to the ancient instrument. Other highlights are "In-didj-iation" by Kamal, which has a stark introduction and transcends into New Age-sounding traces accompanied by the didgeridoo, which offers a different, almost-obo sound compared to the usual low resonating feel. "Quija" by Orocol brings the traditional instrument to the forefront with fading chants and hums in the background. Music Mosaic does a great job compiling various songs that truly bring out the essence of this complex instrument, rich with history and culture. Evocative rhythms interlaced with soothing didgeridoo wash over your senses, enticing you into timeless dreaming, where past, present and future blend into a luminous space of harmonic perfection. Exotic cultures from around the globe offer deep sounds of the didgeridoo, didj horns, percussion, keyboards, strings and vocal incantation to initiate a mysterious journey.